I’m moving out of my studio, re-organizing my home office, and basically re-aligning my life. As a result, I need to make room for things! 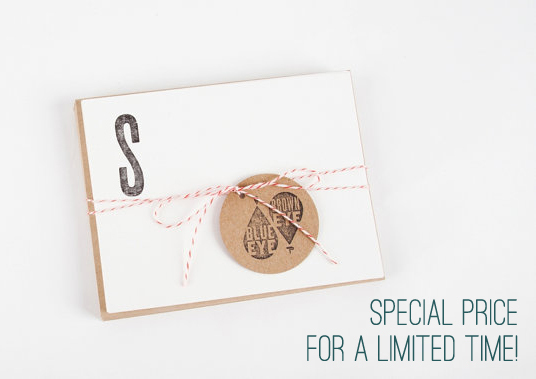 I’ve got lots of these monogram sets left over from last year, so I’m putting them on super sale for a limited time – only $12 for 10 letterpress cards. I don’t have all letters left, but those that I do you can find over at my etsy shop. With the holidays coming up, they could be great gifts!